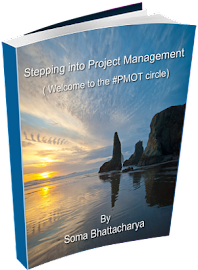 A Guide: Stepping into Project Management (welcome to the #PMOT circle), the upcoming e-book is almost ready, getting it’s finishing touches. I always knew it would mean a lot of work to get it done; however I might have underestimated the hours it would take me to get there. So, the date is August. I still have the cover page pending, last minute touches and editing is in full flow. I have deleted more while editing than writing and turns out it does take a while to get the hang of it. So, what should you expect in the coming months? 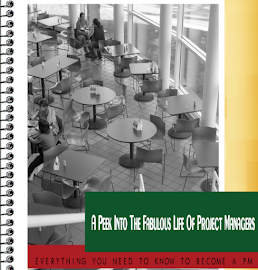 E-book Publication-A step by step guide to get into your dream role of a Project Manager. English isn't your first language-Like the blog, this E-book is in simple working English, no jargon's, straight communication that allows newbies and fresh graduates from all over the world to understand what is required to get into Project Management. Expert Comments- Project Managers, Coaches and Trainers share their secrets in getting into the industry. Price-Keeping the newbies in mind, the e-book can be downloaded at a very reasonable $2.99 (Download will be available in pdf format). Payments through Paypal. All you have to do is click a button and you don’t need to have a Paypal account to buy the book. Free Google Hangout 30 minute session- On September 2 (Sunday): How to find your #PMOT mentor. The time will be announced later in the blog and via twitter. This interactive session is open to 8 people only based on first come, first serve basis. Please email me at steppingintopm@gmail.com to reserve your seat with the subject line: Reserve me for “How to find your #PMOT mentor. This is open to all, irrespective of the fact whether you have bought my book or not. The reservations start today. Next Session- This will be announced in August, after the book publication. This session is only for people who have bought the book. Your full name and email id will be required to make your reservation for the session. Details of the session will be announced in the blog and in the e-book. Stay tuned. 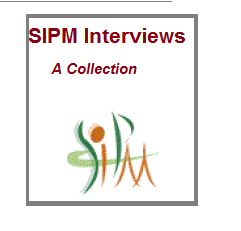 New Hashtag Introduced- Called #SIPM, this hashtag has been introduced to enable you to follow all updates from the book, sessions and posts in the blog. Giveaway- Two E-Books will be given away in August (for free) through the blog. Stay tuned for announcements. I have been reading Scott H Young for a while now. I love what he has done with his blog and his latest challenge is finishing a 4 year MIT computer science course in 1 year without attending classes. Go Figure. So, I thought this lecture of his from TED about the education system was worth listening to. 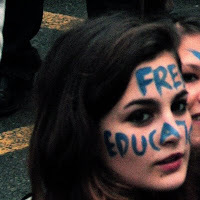 Education costs a lot, but what a lot of us are trying to do is to get as much as possible free resources available to all of you. PMChat -Held at every Friday 12 pm EST; Robert Kelly and Rob Prinzo bring out hundreds of project management professionals where topics are discussed and debated on. All you need is to follow #pmchat over twitter. Try it today. Friday Sessions with Samad Aidane- Samad Aidane from Guerrilla Project Management is doing Friday sessions about various topics on project management. It’s an informal way of talking about a specific subject and then continuing with FAQ sessions. It’s a great tool for everyone looking forward to learn the ropes of the profession faster. And it’s free. Today’s webinar details are here . 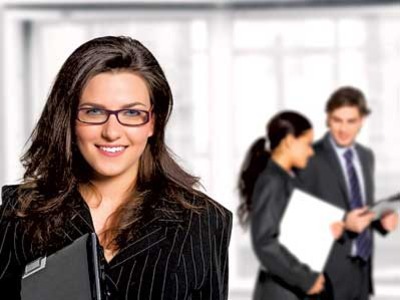 SIPM Community - A global platform to get your mentor, internship opportunities or follow a project manager for a day. New experts and newbies register every day. A free resource to get you going. · If you are not free on Friday’s and can’t attend these live, ask for recordings or just follow the hashtag to read it up later. It’s rather simple really and I think it’s time all of us started taking advantage of the free resources and help we have. Fear is your greatest companion. A little fear does no harm. In fact it’s good to be a little scared of getting on to your next challenge. Most people are scared of doing things first time like bungee jumping, going to your first job interview, emailing your hero, trying to do something extraordinary. You can either be scared by not doing what you have been planning or just be scared and still do it scarily and be thrilled later on achieving your goal. “Many of us let fear get in the way of long-term goals, and that's not good. 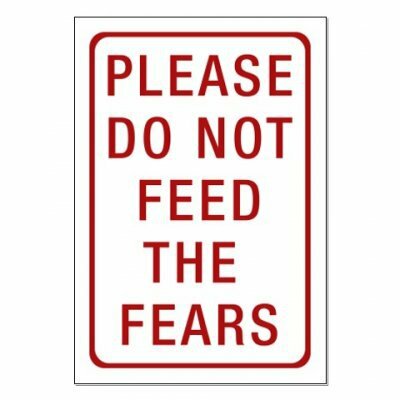 But it's a mistake to think the solution is to overcome fear in general. You can't (at least, not without a temporal lobectomy)”. Accept that you can’t change it- Waiting it out for weeks or months, won’t let the fear go away. Faster you accept it, better it is for you. If you still need to get it done, just go with the fear and still do it. Believe in yourself- Write down why you need to get this done. Once your thoughts are clear, chances are you will be able to do it even though you are scared. Too scared, keep the thought written in your purse, glance it once in a while and try the positive reinforcement. It’s ok to fail- Everybody has bad days and it’s all right to fail. Just go for your next certification or job interview or make some drastic changes in life and even if you fail, now you know the idea won’t work out. You will need that closure to move on in life. Finding an alternative- if you can find an alternative which might sound a little more scary, gives you more confidence or is within your comfort zone, go for it. Confidence in getting something done will allow you to take on complex challenges. Talk to someone- Find someone who has done similar tasks or taken up challenges that were scary. Talk to your mentor or read up other people in your profession; listening or reading about them and their failures will make it easier for you. No matter how successful you are, there has to be failures on the way. Once you know that being scared is ok and normal most of the times, research and plan your work well, remove any obstacles that you possibly can and then go for it. Jobs, success, ambition, failure are all connected in some form or the other. If you have noticed, I haven’t posted for a bit. In usual circumstances I leave a note with my return date. This happened suddenly, a block where I simply stopped writing. 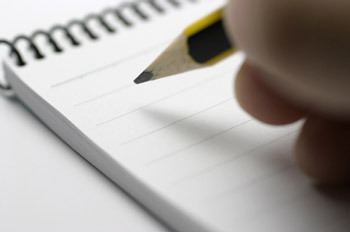 I would wake up everyday and think today will be the day and as the day went by I realised I didn’t want to write. Then a sudden emergency that took me away from I loved doing the most. Of course, I have also been dabbling with a few ideas and it all seemed fun. It was rightful to get back to the blog, specially this month where I complete 4 years of blogging. Yay! While reading for the last few weeks; I came across this that that most people as much as people hate failure, are also scared of success. or the change that will come with it. Sure there are ways to overcome when you are overworked or ways to overcome the fear . What success means for you? What do you relate with success? Do those relations make you happy or fearful? If fearful, what are you thinking of? Is there a way you can get out of the mindset? What do you really want from life? It isn’t very difficult to understand what you are going through. Take some bold decisions based on what you think you should be doing and get along with it. If you sort it out now, things will be much easier to sort out later in your career. By the way, did you know that Tuesday is the most productive day at work? So, step up your game today and lotsa luck! y the way, there's lots of interesting stuff coming up- the new e-book (Handbook for Stepping into Project Management) and what I am doing with my life now, my new public speaking life, a new study (pics coming soon), the "coffee break series" ready to make a comeback and what I have been thinking. The Spark of Success- Do you feel it everyday? Tiredness, burned out, not inspired, bored, routine job- this is something we all face in our job and careers. I just read this article last week by Anne-Marie Slaughter and wow did it hit me strong. It’s going strong and there have been rebuttals from the NY Times as well. So, make hay while the sun shines. How can you bring in your cent percent everyday to work? What happens when you wake up one morning and can’t find the zing in you anymore? What happens when you realise you are not inspired today? So, who is responsible in bringing in the spark in our lives? The Employers, the Managers, the HR or is it Us? Let it happen- It’s better to let yourself be; to do what you want to do than force to be something else. Seriously, what’s the point of killing yourself? Sometimes things just don’t materialize no matter what you do because you are not present in the “now”. You are just doing it out of habit. A class I took long ago while in university- asked us what we would do if we had all the money we needed t take care of everyday stuff. That’s the real you. Ask yourself who are you? If you enjoyed doing things 5 years ago, not necessarily you will enjoy forcing yourself to gulp down the same stuff today. It’s scary and difficult to give up what you are used to liking (like the salary or your peers or Friday nights after work drink). The freedom to choose many might argue is for the rich, the taken care of.....we have more excuses in us than we can think of. And we can pick up the purse and go shopping to spend half the salary of the next luxury couch or more clothes and gadgets. If we have planned it well, we can take the few months and try out new things we have always wanted-to write the novel, travel the world, learn horse riding, start painting, work for a project manager and invest in yourself for once. Forgive yourself- if you have always been on the go- it’s ok to make a wrong move, do what you like and stop working for 12 hours/day. It’s ok to socialize and be with your friends and not work in your next book for the next 2 hours. It’s like fitness, if you have had that sinful piece of cake, just stop whining about it and get back to your routine form the next day. Find the right partner- who will support you in your decisions; even Sheryl Sandbergmentions in one of her interviews as the most important career choice is whom you will marry. Learning to enjoy work- Some people are bored more than the others. So, here are 30 things to do to stop being bored. Plus remember that “if you have two good friends at work, itwill never feel like you have a bad job” . Remember, not all days will be the same and it’s human to go through ups and downs. Just keep in touch with your friends and mentors while you are holding on tight during the rollercoaster ride!